Bernice and Staci, they do look beautiful and delicious. I definitely want to try this out. I don’t even like a lot of fruit, but those are certainly tempting. The colors are so luscious. I’m a fruit hound, so this is really my kinda’ dessert. 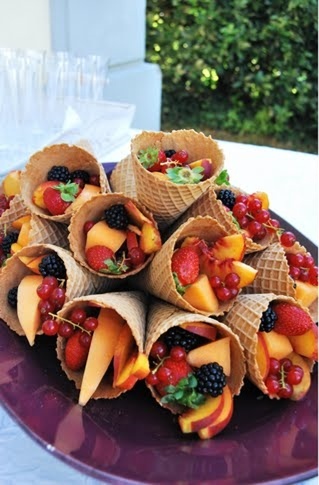 And I’d eat every crumb of the cone the fruit is in!